Providing you the best range of jacket reactor gmp and non gmp reactor with effective & timely delivery. The single jacket, also known as a conventional jacket design, consists of an outer jacket which surrounds the vessel. Heat transfer fluid flows around the jacket and is injected at high velocity via nozzles. The temperature in the jacket is regulated to control heating or cooling. The single jacket is the “traditional” or “standard” design for glass-lined reactors and has been around the longest. Adjustment of fluid temperature in the cooling jacket can take many minutes on larger sized vessels. Variance in temperature can occur between the side walls and bottom of vessel. Formation of hot/cold spots at the jacket inlet points is prevalent due to the temperature control valve. In short, if a more precise temperature control and distribution is important for your application, this probably isn’t the best option for you. The jacket design consists of an outer jacket which surrounds the vessel. Heat transfer fluid flows around the jacket and is injected at high velocitythrough nozzles. The temperature in the jacket is regulated to control heating or cooling. The single jacket is probably the oldest design of external cooling jacket. Despite being a tried and tested solution, it has some limitations. On large vessels, it can take many minutes to adjust the temperature of the fluid in the cooling jacket. This results in sluggish temperature control. The distribution of heat transfer fluid is also far from ideal and the heating or cooling tends to vary between the side walls and bottom dish. Another issue to consider is the inlet temperature of the heat transfer fluid which can oscillate (in response to the temperature control valve) over a wide temperature range to cause hot or cold spots at the jacket inlet points. This is fabricated as per established industry norms and standards. Fabricated using premium grade raw material, our range is known for its longer functional life, corrosion and abrasion resistance and low maintenance. Further, we can also customize our range of products as per the specifications detailed by the clients to meet their exact requirement. 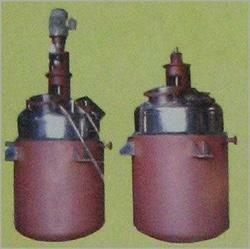 We are offering a wide range of reactors GMP& NON GMP. 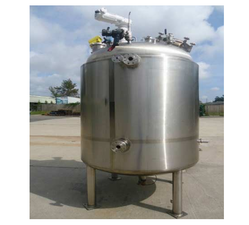 Looking for Jacket Reactor GMP ?